How healthy are you? It’s a really tough question. There are so many different components of our lives that all play a part in good health. If asked the question “How’s your general health?”, most of us would say it’s good, it’s ok—or words to that effect—but what exactly does that mean? Even though we might think we’re healthy, there are usually ways for most people to work on things that lead to better health. How that’s measured is a different question entirely. Developing a way of measuring health to include all of the different aspects of health is an incredibly complex task. The good news is that there are some markers that can be easily monitored. Blood pressure is one such marker. Providing useful general and more specific information about what’s happening on the inside, if you’ve had a problem with blood pressure before, a blood pressure monitor can be very useful to keep a check on things. However, we need to make sure it’s a good-quality, reliable one that’s going to give consistent results—anything else defeats the purpose. So let’s discover more about blood pressure monitors—what they are, how they work—and look at several different models to uncover the best professional blood pressure monitors out there. 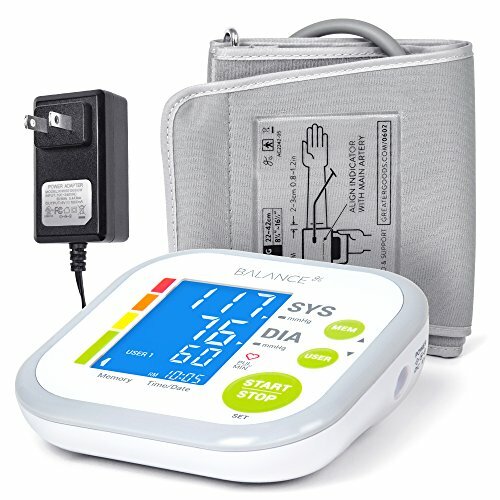 Automatic inflation electronic digital blood pressure monitor. Highly accurate for the majority of users. Donation to charity for each product purchase. 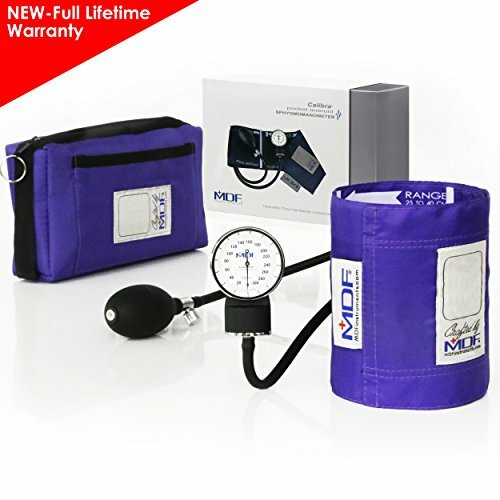 Complete manual blood pressure monitor kit. Consistent and accurate result for most users. Manual barometric blood pressure monitor. Certified accuracy to within 3 mmHg. 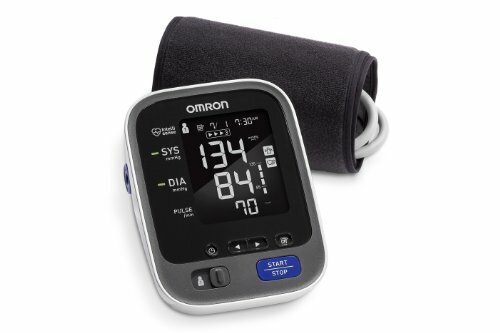 Automatic inflation electronic blood pressure monitor. Tested and guaranteed to give highly accurate readings. Clear results for systolic/diastolic and heart rate. Electronic automatic inflation blood pressure monitor. TruRead™ technology for highly accurate readings. Highly visible and clear readings. What Is a Professional Blood Pressure Monitor? For a long time now, I’ve wanted to know why the correct medical term for a blood pressure monitor isn’t used more in general conversation. I mean, who doesn’t find the word sphygmomanometer just rolls eloquently off the tongue? Joking aside, they’re extremely useful devices which, as the more common name suggests, are used to check blood pressure. The older style consists of an inflatable cuff that encircles the arm just above the elbow, and is connected via hollow tubing to a medical mercury barometer, or a pressure gauge, and an inflation bulb. More modern types of monitors still feature the wraparound cuff, but can have functions like automatic electronic inflation and digital blood pressure readouts. They tend to be easier to use than the older kinds of monitors. No matter what the style of a particular device, all blood pressure monitors work on the same principles. The blood supply in the arm is inflated to constrict blood flow. Blood pressure monitors allow the blood to slowly return in the arm, allowing two readings to be taken. A blood pressure result is expressed as two numbers. The first—and largest—is the systolic reading. It represents the force of blood flow as the heart contracts. The second figure—the diastolic reading—is a measure of the pressure exerted by blood flow as the heart relaxes. Why Use a Professional Blood Pressure Monitor? According to the World Health Organization, medical statistics suggest that around 40 percent of the population suffer from high blood pressure, otherwise known as hypertension. Globally, hypertension is thought to cause almost 13 percent of all deaths. In healthy people, blood pressure is normally somewhere between 110/70 and 120/80. A variation outside of this range on an ongoing basis can be a clear indicator that there’s a problem. Data from lots of different research indicate that blood pressure levels can be good predictors of stroke and coronary heart disease. In some people, each incremental increase in blood pressure of around 20/10 mmHg can double the risk of cardiovascular disease. Data from clinical research, like this study in the Journal of Human Hypertension indicates changes in blood pressure are also linked with peripheral vascular disease, heart failure, problems with the kidneys and renal system and is also associated with retinal problems and visual impairment. For people who are at risk of, or who already have many different health conditions, a blood pressure monitor can provide very useful biofeedback about how things are being managed. Monitoring your own blood pressure can be a great motivational tool when trying to reduce it. When selecting the best professional blood pressure monitor for your needs, make sure it’s durable, accurate with results that are easy to read precisely. Talking of ease, it’s also important to make sure that whichever model you choose, you find it very straightforward and simple to use. We know from research from sources like the Journal of the American Heart Association that an individual’s blood pressure can fluctuate by a range of 20 mmHg. Clinical trials indicate that activity levels, stress, food and drink, body position and many other factors can have an impact on blood pressure. Take your readings at the same times of day, in the same position. Preferably, this is usually in a comfortable sitting position with the arm resting on a table or similar. The cuff should be at the same level as the heart. Avoid eating, drinking energy or caffeinated drinks for 30 to 60 minutes before you test your blood pressure. It’s also helpful to avoid strenuous activities and even perhaps rest for 15 minutes before taking a measurement. Don’t compare the reading obtained with your monitor with the results when another monitor is used. This isn’t a consistent measure of blood pressure, and may lead to unnecessary concern and anxiety regarding health. With a huge choice of products on the market, buying a blood pressure monitor can be enough to send your blood pressure through the roof! But it’s all good—we’ve done all the hard work, so you can relax and de-stress. We’ve scoured the marketplace and come up with five great options. All great monitors, but with some design feature differences that mean one of them might be more suitable for you needs than another. All is revealed right here! This is a very neat, compact device. The one thing that really made this monitor stand out from the crowd for many people is the very large, clear, easy-to-read display screen, which features separate systolic and diastolic readings, and also records heart rate. The included cuff was a good size to fit most people, and there were lots of positive comments about the automatic electronic self-inflation. People found this monitor great when on the move—it’s very lightweight—and the carrying case included keeps everything safe and sound. Even some medical professionals were impressed with the accuracy of this monitor, although not everyone agreed. As one of the lowest priced products we reviewed, it’s little wonder most people thought this monitor was great quality for an equally great price. Large backlit LCD display screen. Cell battery or mains power operated. Memory storage function retains 60 records for two users. A very small minority had problems with reading accuracy. You might feel like a paramedic carrying this monitor around with you! Supplied in a neat case, this monitor looks very professional, consisting of a cuff, air pump and barometric gauge. This is the old style monitor, and most people found it straightforward to use with practice. Several people noted their results were reasonably consistent, although a handful of users found theirs fluctuated dramatically. People who needed to monitor their blood pressure several times a day found this montor to be very lightweight and portable. It was easy to use either at home or at work, and could be operated by people with stiff, arthritic joints and hands. Some people had mechanical malfunctions and didn’t rate this monitor, but it worked well for most, and was generally regarded as a very good buy. This was the least expensive product in our top five. A few users found it hard to get consistent results. This is a high-quality, hand-crafted medical device that’s suitable for everyday use in the home or clinical setting. The company reports that it put their products through a barrage of stress tests and calibrations. It’s pretty easy to use—the instructions are really clear, and many people said the pressure gauge is simple to read. The vast majority of users agreed that this was an excellent blood pressure monitor which produced very consistent and accurate result for most users. A very small number of users disagreed and were unhappy with the machine calibration—though it can be re-calibrated. Overall most people thought this was a great-quality, functional device, and liked the very reasonable price tag. 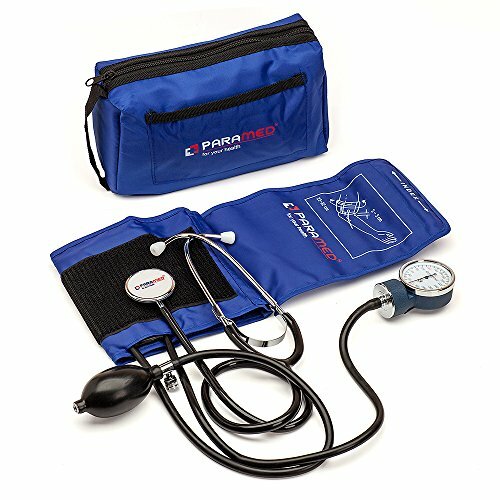 Includes free stethoscope and adult cuff and carrying bag. A few users thought their results were inconsistent. 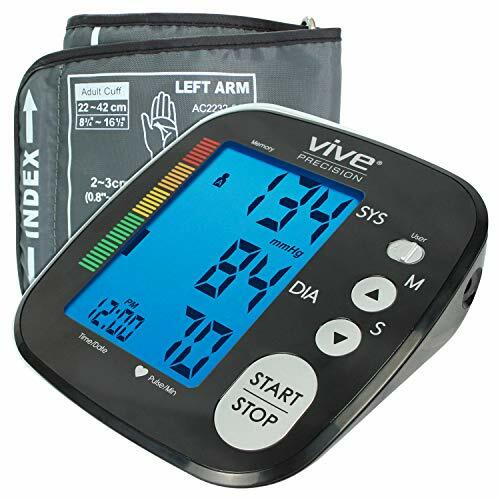 Vive offers a wide variety of personal care products, and its blood pressure monitor is a very well-designed addition to its range. Each device is individually tested for accuracy, and most people agreed that readings were accurate, consistent and reliable. The majority of people found this monitor very easy to fit and use, and liked the automatic inflation at the touch of a button. People liked the options of using mains power at home or cell batteries on the go, and the monitor was generally considered very convenient and portable. On the downside, a few people said their results weren’t accurate, and some people had trouble operating this monitor. In the main, though, users—including trained medical staff—were impressed with the quality and the low to mid-range price. Memory function stores 250 records per user. Some users had difficulty in operation. A few reports of inaccurate results. Omron is a very well-established company with a great reputation for quality. This is a very compact, modern, stylish blood pressure monitor. With its large, clear digital display, it has a look of an Apple watch about it. People found it very easy to fit and operate, and most were impressed with their accurate, consistent readings. A small number of users reported that this wasn’t the case for them. Several people found this monitor to be lightweight enough for travel, and some physicians recommend this model to patients for home use and choose to use it for house calls. The most significant drawback of this monitor is the price. It was the most expensive in our range, and more than double the price of the least expensive. Most users thought it was well worth the cost considering the quality. Backlit and easy to read LCD display. Gives separate systolic/diastolic and heart rate readings. Memory function can store 200 readings. Mains or cell battery operated. Readings may not be consistent for all users. Blood pressure can be a very useful indicator of health, and is used for many different reasons. 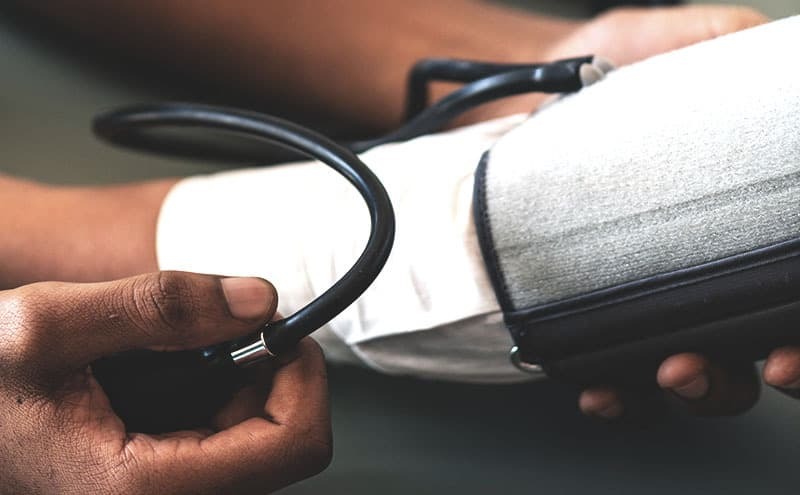 Particularly if someone has an ongoing health problem, one way they can get involved in their own health care is to regularly monitor blood pressure. While whichever model you choose is likely to give at least slightly different results from other monitors, keeping a regular track of blood pressure at home can give an overall picture of when blood pressure starts to creep up or slide down. Of all the different blood pressure monitors we considered, the five we chose are all great options that appealed to a lot of users. Our overall winner, and the best professional blood pressure monitor was the Balance Blood Pressure Monitor Cuff Kit. The was the monitor that the most people found easy to use, with a large clear display that was easy to read. A lot of users were impressed with the accuracy of their results—and this included medical professionals. As an added bonus, this monitor was also one of the lowest priced in our selection, which was a big plus point for many people. Several thought this device could give much more expensive monitors a good run for their money. Our search for the best professional blood pressure monitor is at an end—good quality and value for money is definitely a winning combination. What is the Best Blood Pressure Wrist Monitor in 2019?